Spacious, pop-up design can be linked together! 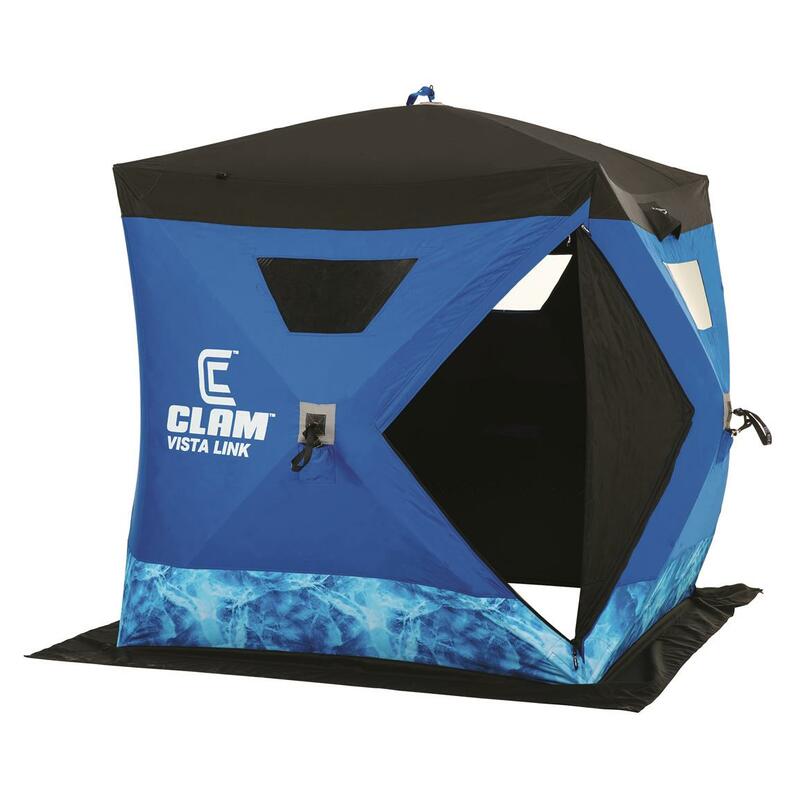 For the ice angler on-the-go, the ClamTM VistaLinkTM Hub Ice Shelter is the perfect choice to suit your needs and your budget. Lightweight hub design is easy to haul and sets up fast, so you can get your lines in the water within minutes of arriving at your hot spot. Spacious, 72" x 72" size provides 36 square feet of fishable area to accommodate up to 3 anglers. Generous 82" center height offers plenty of headroom for comfortable fishing. And the best part? 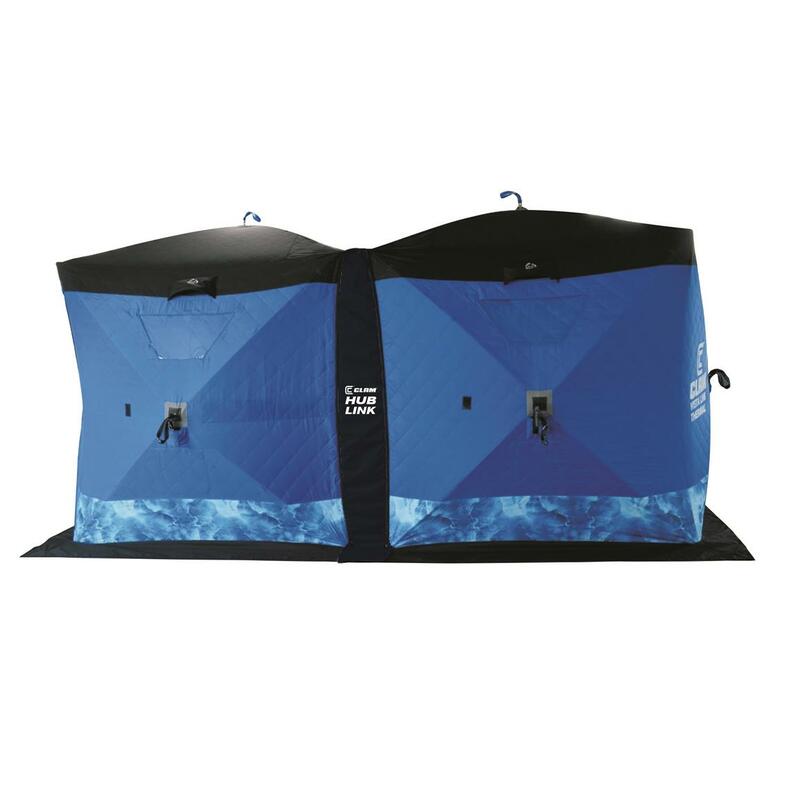 The VistaLinkTM is designed to link together with other VistaLinkTM shelters courtesy of a unique Hub Link System (sold separately), so you can link up with family and friends for an all-inclusive ice fishing adventure. Set Up Size: 72" x 72"
Fishable Area: 36 sq. ft.